NATIONAL Apprenticeship Week was celebrated at NPTC Group’s Llandarcy Academy of Sport with an Apprenticeship Fair. 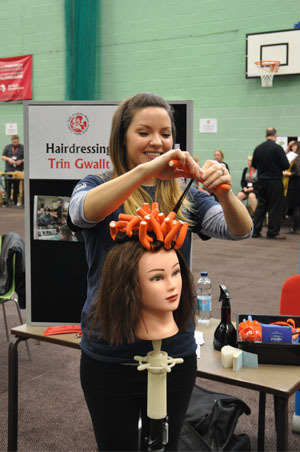 Skills Academy Wales (SAW), one of the largest work-based learning providers in south-west Wales hosted the event which attracted scores of would-be apprentices and employers considering offering apprenticeships. 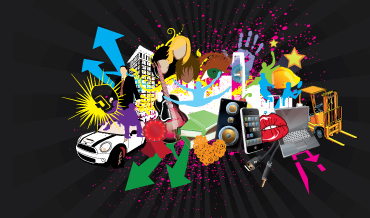 School leavers, the unemployed and those looking to develop their skills were offered advice and guidance on apprenticeship opportunities. Local radio DJ, Clare Scott from The Wave, popped down to interview dental nursing apprentice Sarah Thomas who gave information on the benefits of becoming an apprentice, she also tried her hand at a few apprenticeship pathways such as hairdressing, carpentry and catering. Employers were also able to find out how the apprenticeship programme could work for them, not only helping them to grow their businesses but to fill skills’ shortages.